Dixie Moye is shown pitching for Hubbertville in a game during the Hubbertville Tournament. 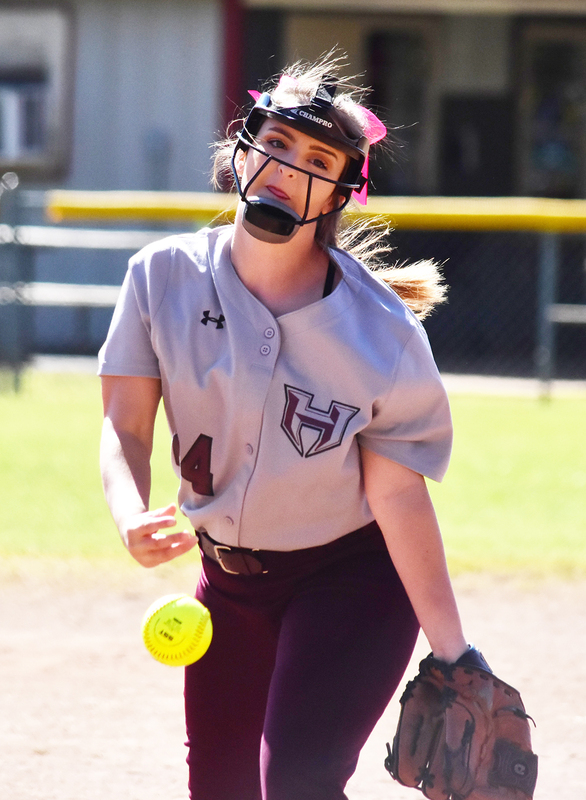 The Hubbertville Lady Lions traveled to Hackleburg on March 21 and won by a score of 10-0. Emma Nichols pitched a complete game, two-hit shutout for Hubbertville to claim the victory. Chelsea Porter and Madison Cribb each had two hits and scored a run during the game, while Cribb also had a RBI. Gracie Dodd and Kayla Tidwell each had a double, scored a run and had two RBIs. Laikyn Wright had a double, scored two runs and had a RBI.